“Stepping out at the Gallery with Tarkay” (2015), Marcus Glenn. Want to improve your health? Forget fad diets or fasts and try looking at some art. 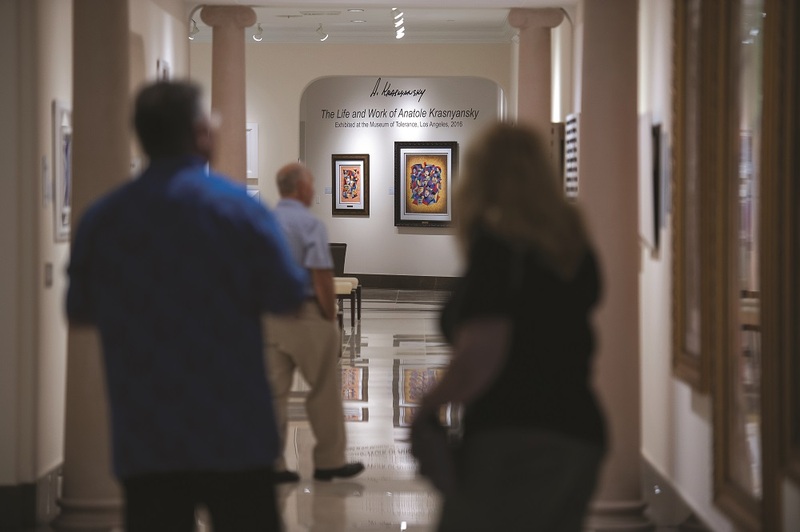 It’s true—recent studies and research have proven that a trip to the art gallery or a museum can positively impact your health and well-being in several essential ways, like lowering anxiety and depression and boosting critical thinking skills. Here are some hard facts on why art is good for your body (and your soul). A research study in Norway, known as the Nord-Trondelag Health Study, collected information from 130,000 Norwegians ages 13 and up. The study questioned more than 50,000 men and women about how often they participated in cultural activities like attending galleries and museums or viewing films. According to Koenraad Cuypers, a researcher at the Norwegian University of Science and Technology, the study discovered that there was a definite correlation between participating in cultural activities—like creating art or attending concerts—and having increased rates of good health, satisfaction with one’s life, and lower rates of anxiety and depression in both men and women. Guests browse the galleries at Park West Museum. 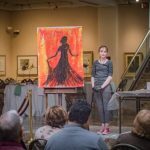 Specifically, 84 percent of those who participated in at least 4 art-related activities reported good health, and 91 percent reported a high level of satisfaction in their lives. Furthermore, the study concluded that these benefits were found in people who both created or consumed the arts. That means that people who enjoy looking at art get the exact same health benefits as people who enjoy making art. Interestingly enough, females received more benefits from actively creating art, while males got more benefits from passively viewing art. A study published by the University of Arkansas in 2014 determined the impact of students taking a field trip to an art museum, showing that the visit changed how the students thought and felt for the better. More than 10,000 students were surveyed, and the majority of them (70 to 88 percent) retained factual information from the tours. Students also displayed improved critical thinking skills as well as gains in tolerance and historical empathy following the trip. 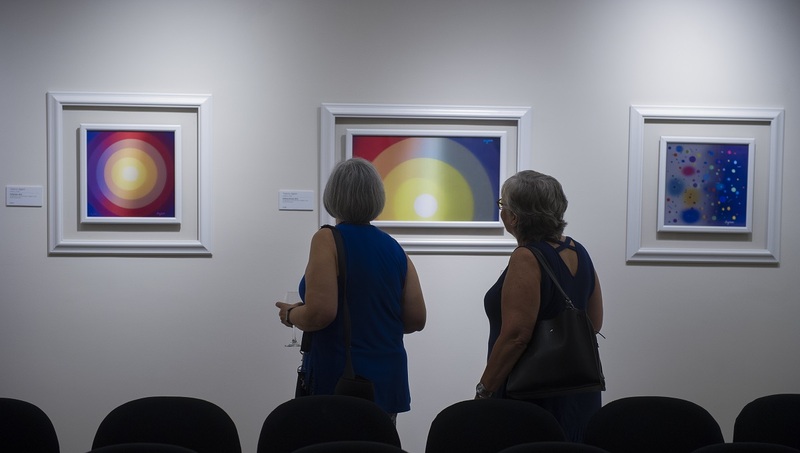 Guests observe artwork by Yaacov Agam at Park West Gallery. Additionally, science has shown that viewing beautiful artwork can actually cause you to experience the same physical reactions we get when we fall in love. Professor Semir Zeki, a neurobiologist with the University of London, scanned the brains of volunteers while they viewed 28 works of art. 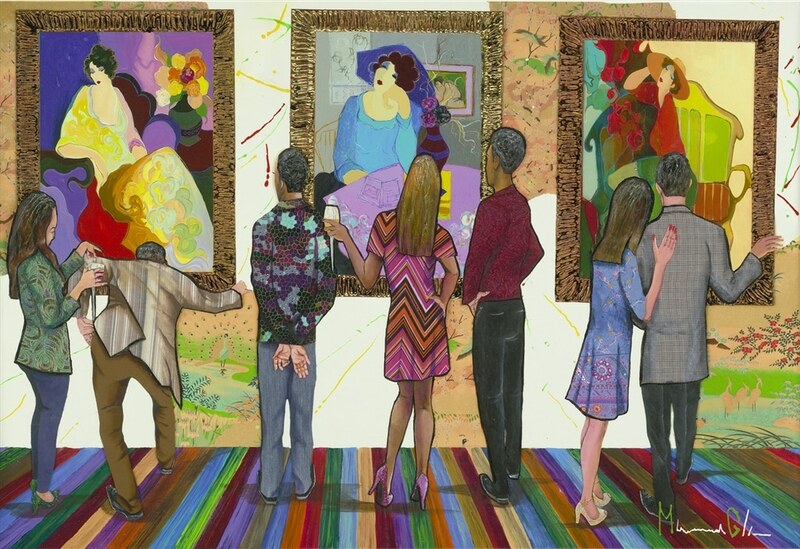 Zeki discovered when a person views art they find beautiful, it triggers an immediate release of dopamine into the brain–a chemical related to feelings of love, pleasure, and desire. 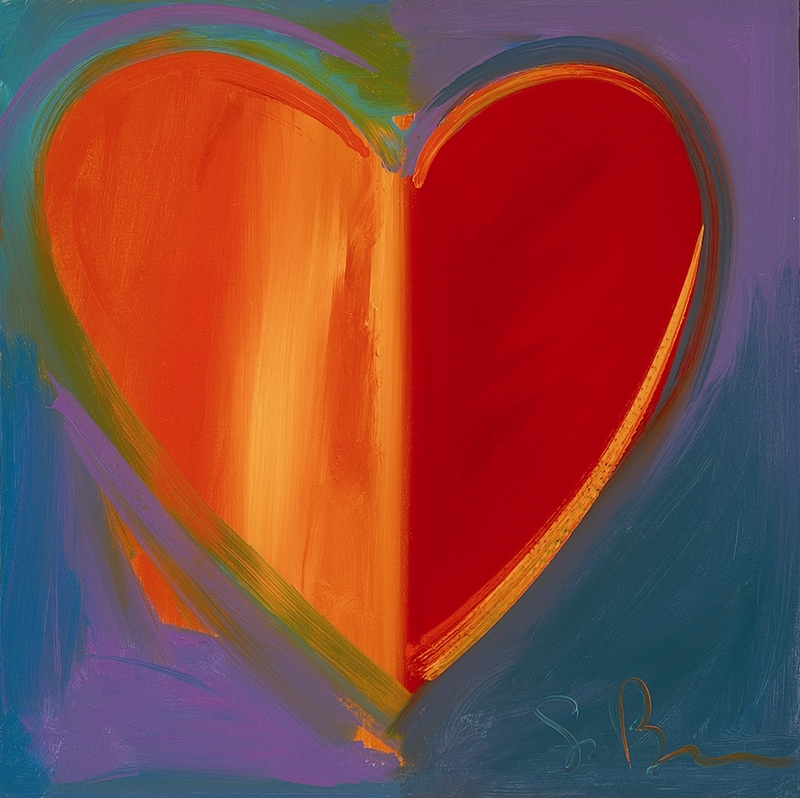 “The Power of Love V” (2007), Simon Bull. These scientific studies just prove what many great thinkers and philosophers have expressed in the past. Plato, for instance, believed that the arts were powerful shapers of character, able to stir up emotions and influence our behavior. Meanwhile, G.W.F. Hegel saw art’s role as giving intuitive, sensuous benefits to the viewer by showing us what divine and human freedom can look like. It turns out that the philosophers were right. Art CAN make you happier. Art CAN nourish both your body and spirit—and it can do it in ways that a salad or supplement never could. So, for the good for your health, go look at some art, OK? Browse Park West’s current sale collections or contact our gallery consultants at (800) 521-9654 ext. 4 during business hours or at sales@parkwestgallery.com. But, if you’re looking for the health benefits of viewing art in person (and you’re in the Detroit area), you should definitely visit Park West Museum, a free-to-the public museum featuring works by many of art history’s greatest figures, including Rembrandt van Rijn, Pablo Picasso, Pierre-Auguste Renoir, Marc Chagall, Joan Miró, Francisco Goya, and Albrecht Dürer. You can find more information about visiting Park West Museum here. My wife & I started collecting art in 2007 and love it. 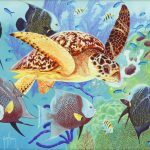 We primarily get it from our cruises but have looked into other avenues and found some local artist we like. We are already discussing what we will collect next time and have looked into some we like to collect through par west galleries. We love our art and yes, it’s true. Looking at something we believe is beautiful really feels good. I am fortunate to live in a city (Toowoomba, Queensland, Australia) that has a vibrant Arts scene, both visual and performing. We have numerous galleries – I went to the opening of new premises for one of them last night. There is a huge number of choirs (I belong to 3),and we have the annual “First Coat’ festival where local and international street artists paint wonderful murals on the exterior walls in city lanes. Looks like my health and mental well-being are assured!! That sounds wonderful Zelda, and a good recipe for a long and happy life. We have all the masters in our collection thanks to Park West Gallery including Rembrandt van Rijn, Pablo Picasso, Pierre-Auguste Renoir, Marc Chagall, Joan Miró, Francisco Goya, and Albrecht Dürer.